Welcome to the 2018 Vietnam War 50th Anniversary Campaign. The campaign will run from 1 January through 1 July, 2018. Looking forward to some great builds in remembrance of the hottest conflict of the Cold War! 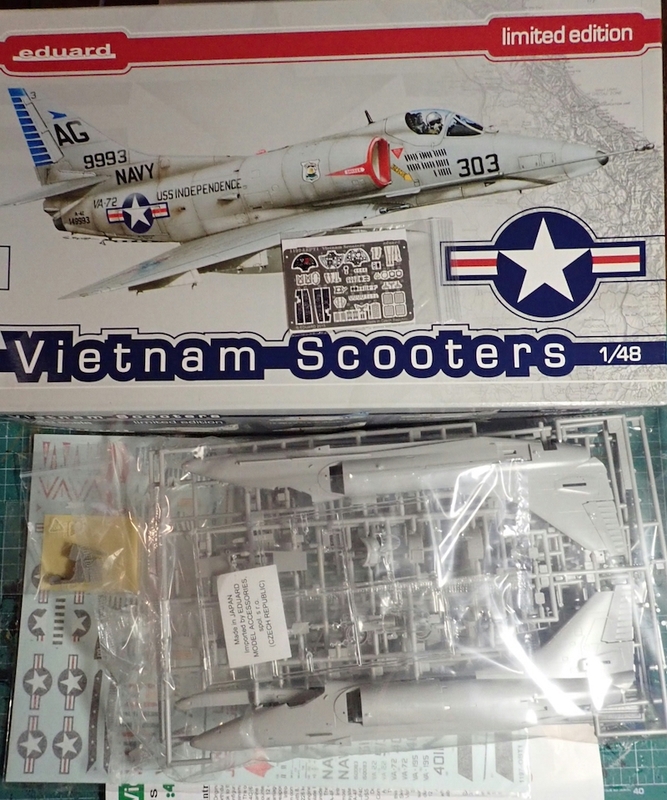 The box cover shows A-4E, but I'm building A-4F either from "Ghostriders" (USS Hancock 1971) or "Fighting Redcocks" (USS Bon Homme Richard 1970). 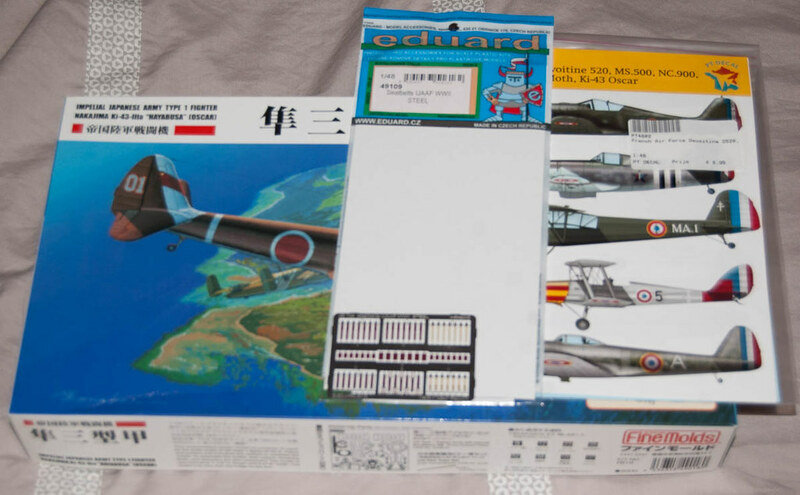 The Eduard kit has Hasegawa plastic with Eduard decals, resin seat, paint masks and PE. a new year and a new great campaign. My entry is the F-4J Phantom from Academy. Well, I've got too many choices. Phantoms, Thuds, Spads, Sluffs, Buffs, Won-O-Wonders, Bird dogs, Skymaster, Bronco, Mohawk, Hun, Vigilante, Destroyer, Invader, Intruder, Scooters, Cobra, Aardvark, Chinook, Sky Knight. Did I forget one? Probably. So if I can only pick one, I'm going with the UH-1C Huey. What air craft could be a more iconic representation of our Viet Nam experience? No,that's not some special camera effect, I managed to end up with two of the same kit, just one set of decals. With an extra helping of luck, I'd love to finish both for this campaign. One in Army markings, and one as the Navy version. The only common decals are the blade tips and the turbine line. I can paint the tips and maybe make a red decal for the turbine line. I have two kits to choose from, or just build both. One USAF or USN. Looks like we're off to a good start! As for me, a new year, a new campaign, same old question: How crazy am I? I always love this little swallow. 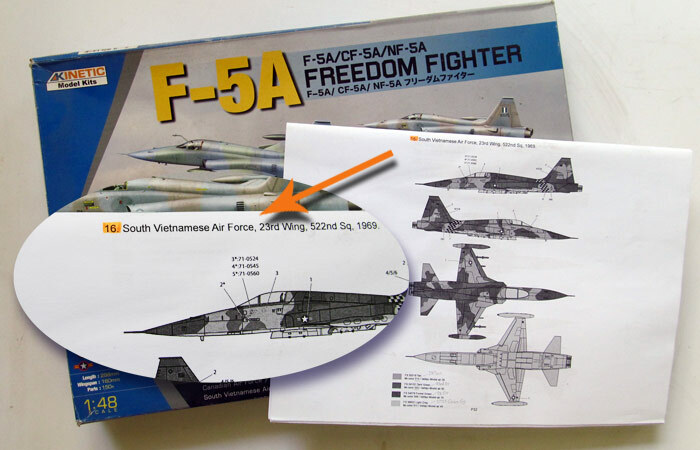 But can I apply the decal of South Vietnam AF? Sure, RVNAF certainly qualifies! If it doesn't get you in any trouble at home, that is. Looking like a good start, everyone! Goes together quickly once you have everything painted, but the nose gear door actuator has to be added before you glue the whole assembly to the underside of the nose, and it sticks out the bottom. We'll see how long I can keep that whole. Well my build will be this kit which has sat in my stash for more years then I wish to admit. 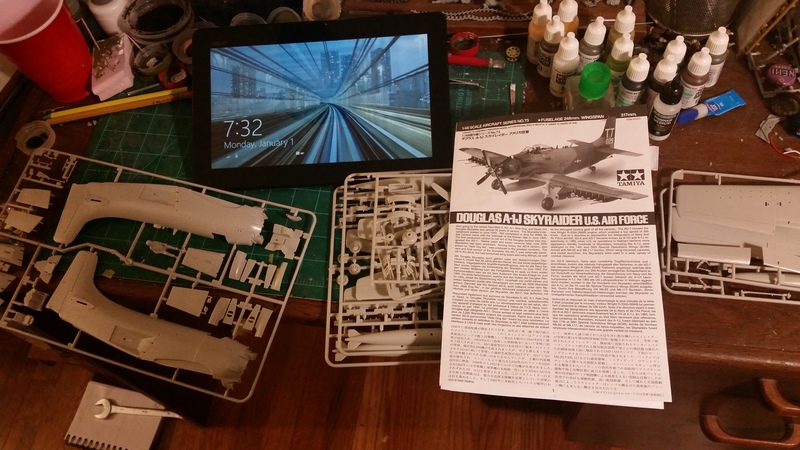 HobbyBoss 1/72nd A-7D Corsair II. This will be a speed build for me as I have several other projects to deal with sitting under the desk . Not sure what as I have a few things to choose from. I'll be building an EB-66 Destroyer for the campaign. Looking for something else last night I found the Airwaves convention kit for the Italeri RB-66. Completely forgotten I had bought it. Now to get the kit and find markings for BAT-21. 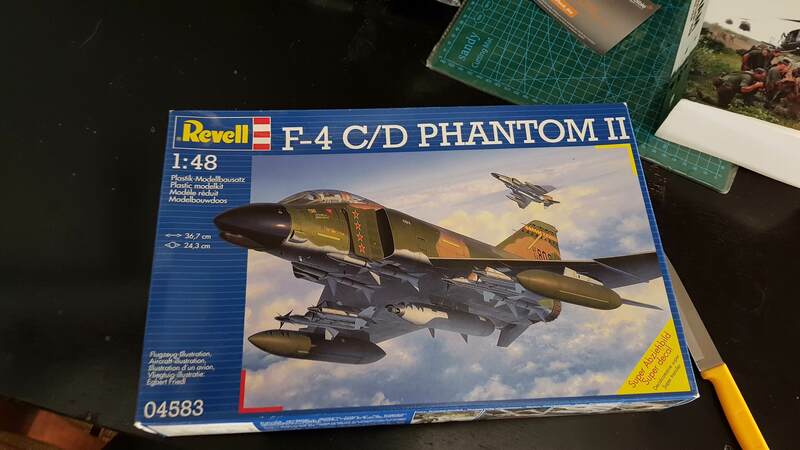 I'll be putting together an F-4 for this one - not sure what kind as of yet The kit is C/D, but I've got a soft spot for grey Navy/Marines Phantoms. I have the Cessna A-37B Dragonfly by Encore that would fit for this campaign although I'm not really sure why it's in the stash? As my focus is predominately WW2 or anything RNZAF related and we didn't fly the A-37B. Probably it was at a price to good to pass up as that's how most of the jets arrived in my stash. It's also chock full of resin goodies with the old Monogram plastic. 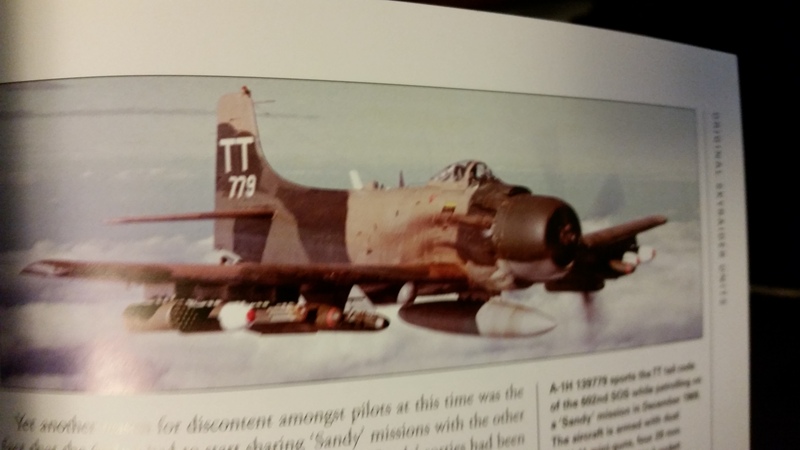 Did the F-84F Thunderstreak play a role in Vietnam? Or had it been replaced by the F-105 Thunderchief by then? I have been playing around with this all week on and off, and I have finally got it too this stage. Gloss coat is on and decaling will be done from tomorrow. Got the pre-painting done this past weekend (man, there's a lot of it in this kit!) I've previously done the SMT so I know it's a great kit, just a lot of prep work before building can begin. Michael, I'll have to follow your Phantom build in the other campaign. That kit is high on my wishlist. Looking forward to seeing your Mig too. 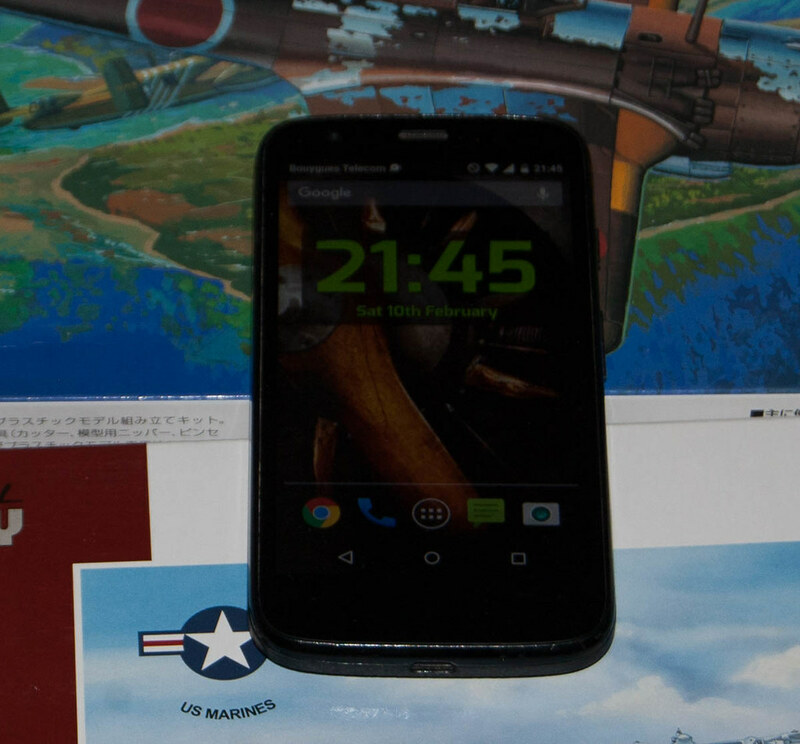 I've ordered an RB-66 from my lhs and I'm just starting to research the marking scheme of BAT-21. Should only be a change of serial numbers. 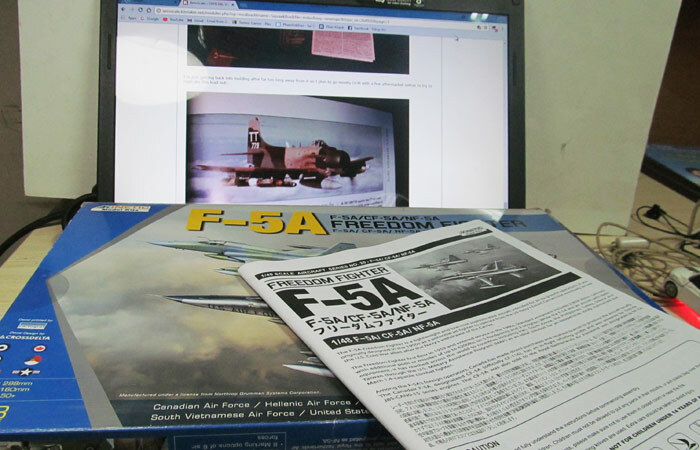 In the meantime I may start to build a Matchbox F-5 I've been wondering what to do with for years. It will be fast build looking at it. Plan on doing this fellow for this campaign. nice progress on A-7. I'm about to join with the same one kit. How did you manage to get rid of this nasty seam line top of canopy? I've probabhly already asked this question once ... or twice, but as you are building exactly the same kit it's nice to hear a "report from front line"
For the canopy, I masked off either side of the seam, and sanded it with some very fine sandpaper, then polished the scratches out with toothpaste (as I didn't have any type of polishing compound). 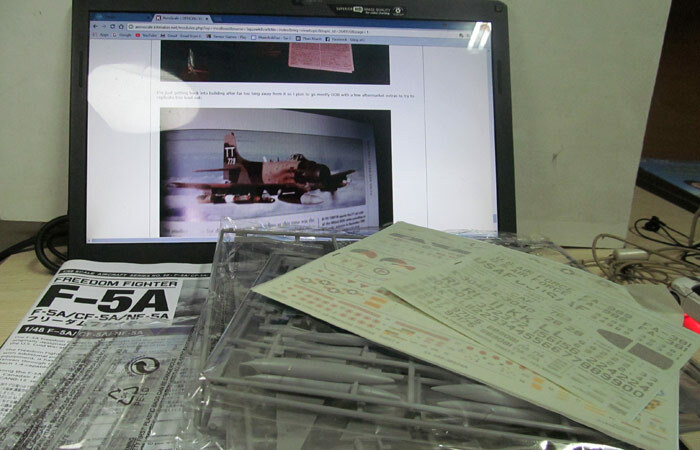 Untill the B-66 arrives in store, I'm going to crack on with the Matchbox F-5A. Just going to be a straight OOB build. I'll be taking decals and the belly tank from the PM effort. Picked that kit up a while ago from a cheap toy shop for 99p. Certainly cheaper than buying a set of AM decals and I have a paint guinea pig to play around with after. Looks like there are a lot of good projects planned. 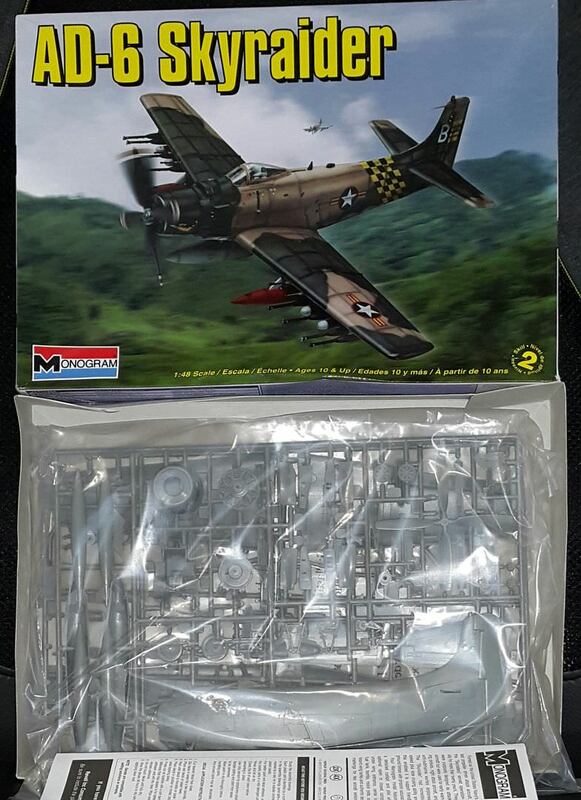 I was thinking of jumping in with the Zoukei Mura 1/32 Skyraider with all the trimmings but considering I've never finished a campaign I've started it would be a suicide mission. 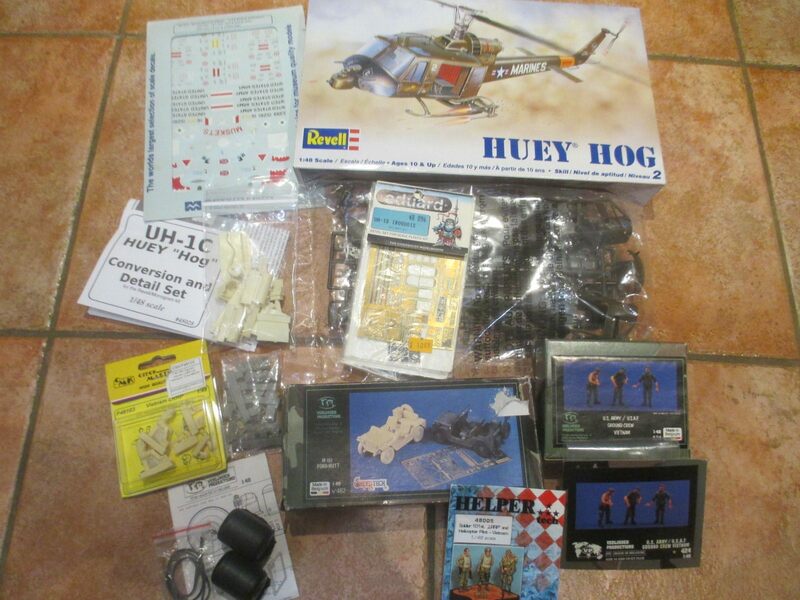 Instead I'll go with the old Revell 1/48 Huey Hog. This project has been on the back burner for quite a while. Extras include Eduard PE (actually for the UH-1D), Cobra Company UH-1C Resin, MicroScale decals and some figures and accessories from Verlinden, CMK and Black Dog. 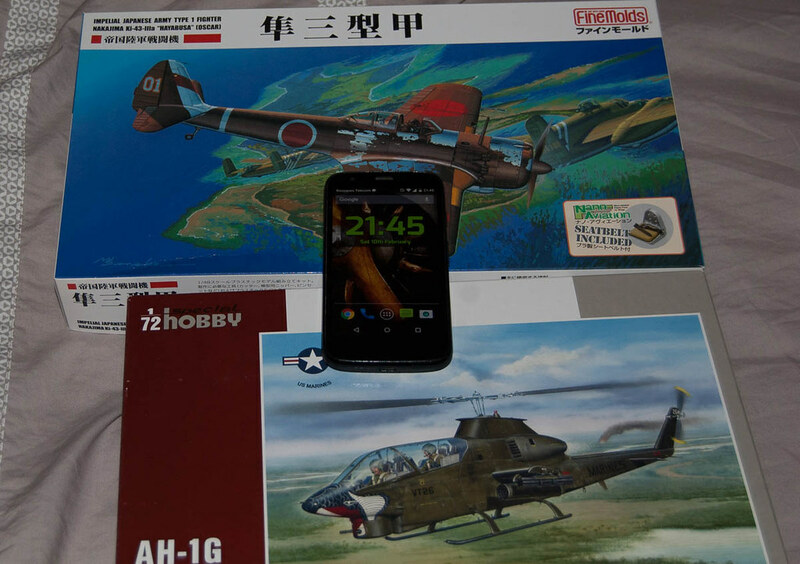 I enlist with a Ki-43 Oscar III and a AH-1G. Soon after the close of the Second World War, French forces in Indochina found themselves with out air support. Pending the arrival of aircraft transferred from France, and ex-British Spitfires, attempts were made to press into a service a number of war-weary Japanese aircraft. Although there were numerous Japanese airstrips located throughout Indochina, only a handful of serviceable front-line modern aircraft were located. For the most part, these aircraft performed second-line duties with the French, as transports and liason aircraft. The notable exceptions were the Nakajima Ki-43 Oscars, which formed the backbone of two fighter squadrons until their replacment with Spitfires. It appears many of the aircraft were in relatively poor condition, and in the unfamiliar hands of French pilots the attrition rate was high, with at least two aircraft being lost during their only flights! Though most aircraft lasted only until 1946, it is likely that a few soldiered on in French hands until 1949.